Hello! Welcome to my new blog! I have been blogging on and off since 2013 over on Champagne and Pearls. I lost interest a year ago with my blog and I posted very little over the past year. However, I still felt a passion for blogging. So I did what any sensible person would do and I jumped ship. I signed up for WordPress, bought a .com, and bought a blog design. All within an hours time. I decided I am not going to get good a blogging unless I continue to blog. I so desperately want to be good at it, so I am going to keep working at it. I felt so trapped in my old blog. I was using blogger, which I thought was the best option – no, and I felt limited to what I could post. I was a self-proclaimed beauty and fashion blogger, but so much more inspires me. I want to share DIY projects, recipes I try, funny stories/experiences, Etsy tips, and a ton more. I do not want to feel limited by my blog, but that my options unlimited. I want readers to get the same feeling I get when I open up a new post from my favorite bloggers: The College Prepster, The Daily Tay, Helene in Between, Kelly in the City … and many more. 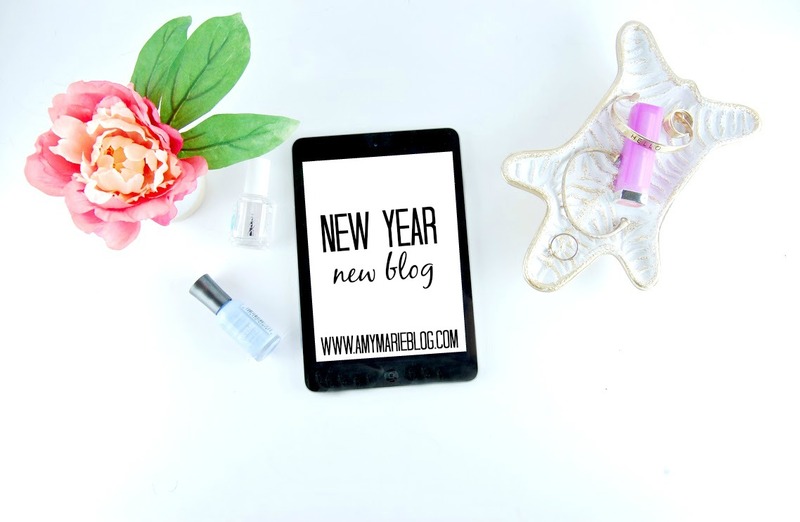 So here is to 2017 and a new blog!